Despite the close relationship between Prime Minister Narendra Modi and Shinzo Abe, Japan is hesitant to plunge into negotiations on submarine exports. Supplying submarine technology would lock Japan and India into a tighter defence ties for years to come. Japanese Prime Minister Shinzo Abe holds his 10th summit with Prime Minister Narendra Modi today, underscoring the importance of strategic ties between the countries as the two face an increasingly assertive China. Supplying submarine technology would lock Japan and India into an even tighter defense relationship for years to come. Despite the close relationship between the two right-leaning nationalist leaders, Japan is hesitant to plunge into negotiations on submarine exports. Japan is among the countries India contacted for information about cooperating on its plans for six diesel submarines to add to the underwater fleet it is seeking to build to counter that of China, in a project worth about 50,000 crore rupees ($7.8 billion). The two governments held their first round of talks on overall defense technology cooperation last week, but are not currently in negotiations on the submarine project, according to a Japanese foreign ministry official who asked not to be named. In India, an official from the Ministry of Defence who asked not to be named citing rules, said the process for submarine procurement had just been initiated with the Japanese submarine builder. It will be a long, drawn process, said another Ministry of Defence official. Indian Navy spokesman D. K. Sharma said he had no comment on the matter. While the Japanese government is not ruling out a deal, here are some reasons why it probably won't be the front runner. Japan only loosened its decades-old self-imposed ban on defense exports in 2014. The exclusively domestic focus of the industry has kept it small in scale, resulting in higher costs, which are off-putting for India. The two countries have, for example, been negotiating a possible sale of ShinMaywa's US-2 amphibious aircraft for years, but have so far failed to agree on a price. The roughly $12 billion yen ($109 million) per plane price tag, depending on specifications, is one of the key sticking points, according to the Japanese foreign ministry official. He added that the talks would take some time. PM Modi's campaign to have more high-tech goods made on Indian soil will make any submarine deal more difficult. 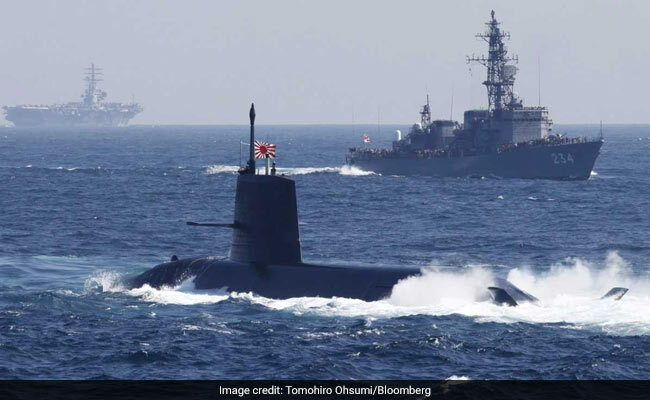 Mitsubishi Heavy Industries Ltd. and Kawasaki Heavy Industries Ltd, the two firms that build Japan's submarines, will be concerned about whether they can maintain quality, according to Abhijit Singh, a former naval officer who is now at New Delhi's Observer Research Foundation. "That doesn't work because if Indians build it and something goes wrong then the Japanese reputation takes a knock," Singh said in an interview. Both companies declined to comment on the matter. "There is still some hesitancy in the political-defense community of Japan," over loosening restrictions on defense exports, said Hiroshi Hirabayashi, a former Japanese ambassador to India, who now serves as president of the Japan-India Association. In line with its pacifist constitution, Japan until recently treated the U.S. as virtually the only exception to the ban. Singh noted that Japan remained "secretive" about its submarine technology, which is among the most sensitive for any government. Japan's Soryu submarine is far larger than the model India is seeking. "It's too sophisticated for India's needs and Japan knows this," former naval officer Singh said. That would mean a re-design, which adds a fresh element of risk to a complex process. India has widened its search for the right submarine, said K.V. Kuber, a New Delhi-based independent defense analyst who has been on several government-appointed panels on military procurement. "The choice was always between DCNS (renamed as Naval Group) and HDW (Howaldtswerke-Deutsche Werft)," Kuber said. "I now see the options have included the traditional Russians, Spain's Navantia, and a new entrant in this game, Mitsubushi Kawasaki, along with Sweden's Kockums." The process has the "fundamental strength of letting the choice of the platform and the potential vendors be determined by the market forces."